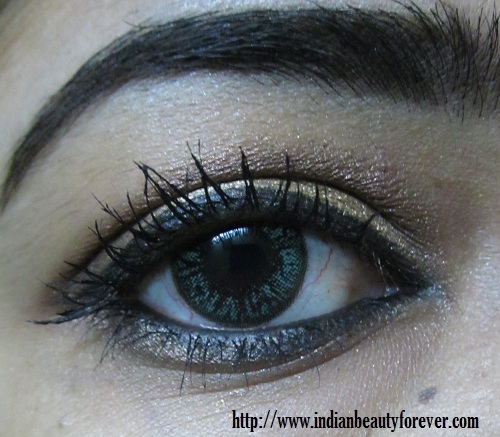 I have done this eye makeup look long ago but have not posted it yet. So today I will share this Eye makeup tutorial. I did not think it's good enough but as i don't feel like writing any reviews or article, I would like to share this. 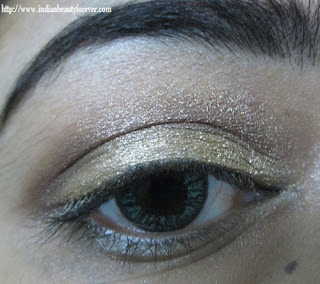 For this look I have used the MUA palette in Heaven and Earth. 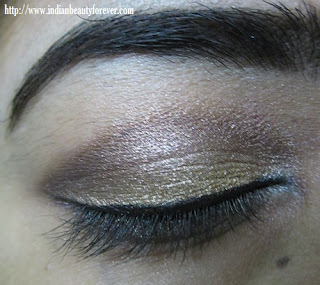 Heaven and Earth has some of the prettiest neutral colors I have seen very appropriate and suitable for the Indian skin tones and eye makeup. 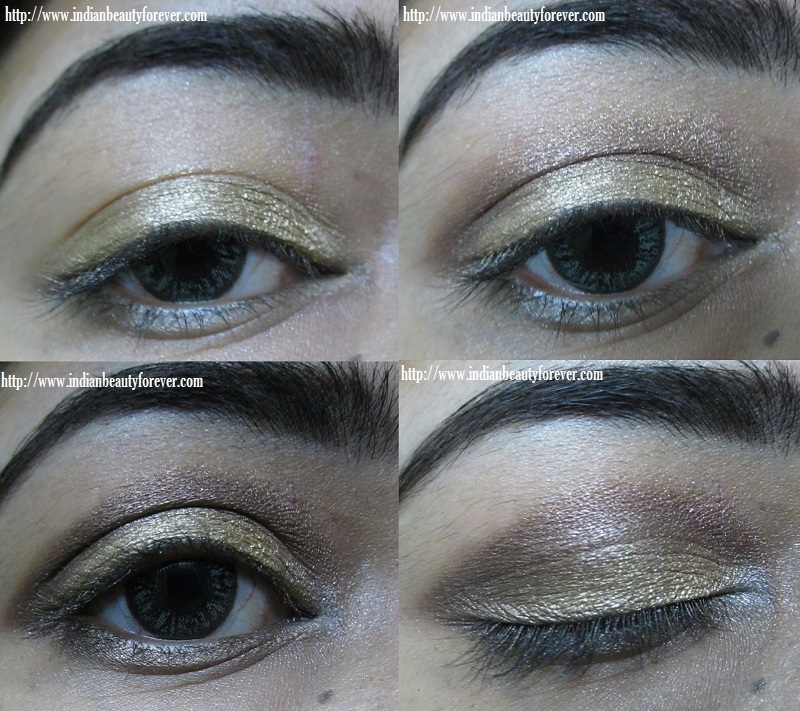 I started with the gold color on the entire lid. I have marked the color on the palette itself in the pictures below. 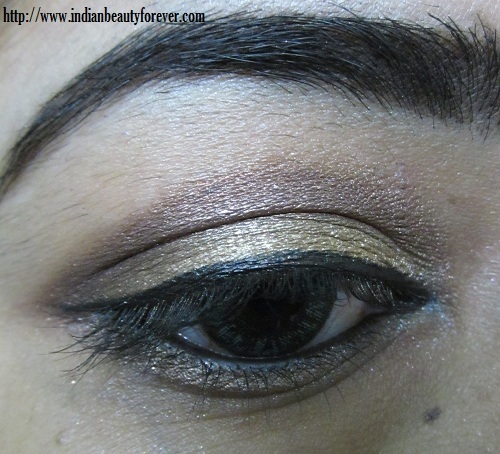 Than I have applied this brown shimmery shade on the crease area and blended it well. 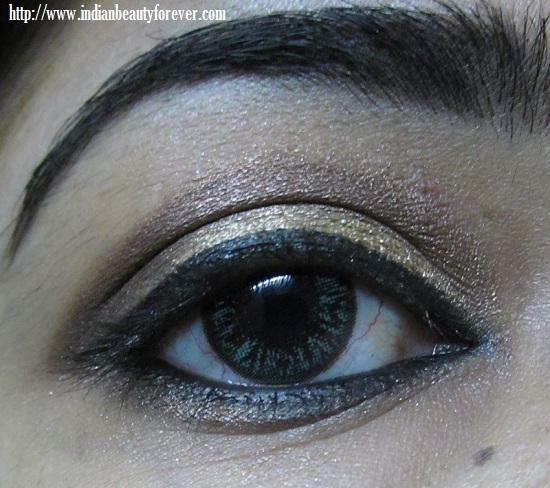 I applied a light shade on the inner corner and the tear duct. 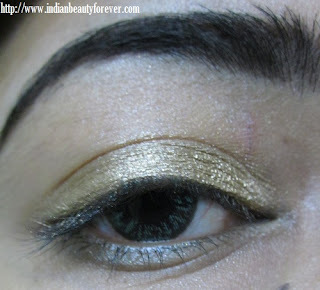 I have also applied the same darker shadow underneath the lower lash line. I have applied the gel eyeliner in Black. 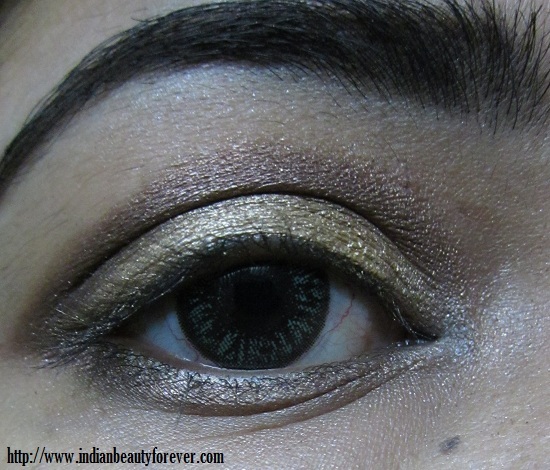 This one is the Maybelline geleyeliner one and by now you might know how much I love that. I finished the look with 2-3 coats of mascara. I also noticed that this look can be created with the colorbar eyeshadows that I have in Spicy brown and copper crush, they are exactly the similar shades. 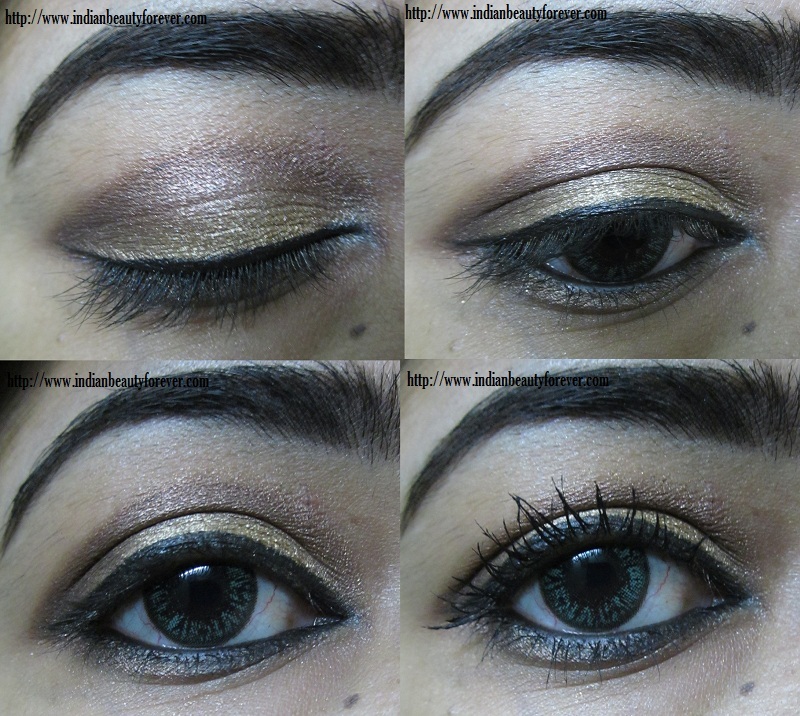 Have a look at this pictorial tutorial here. Hope you like the look !!! Love the combination Niesha ...Nicely done !!! Wow, very nice ;) I like the colours!